We’ve done a fair bit of walking through Istanbul so for a change of view we decided to take a cruise. 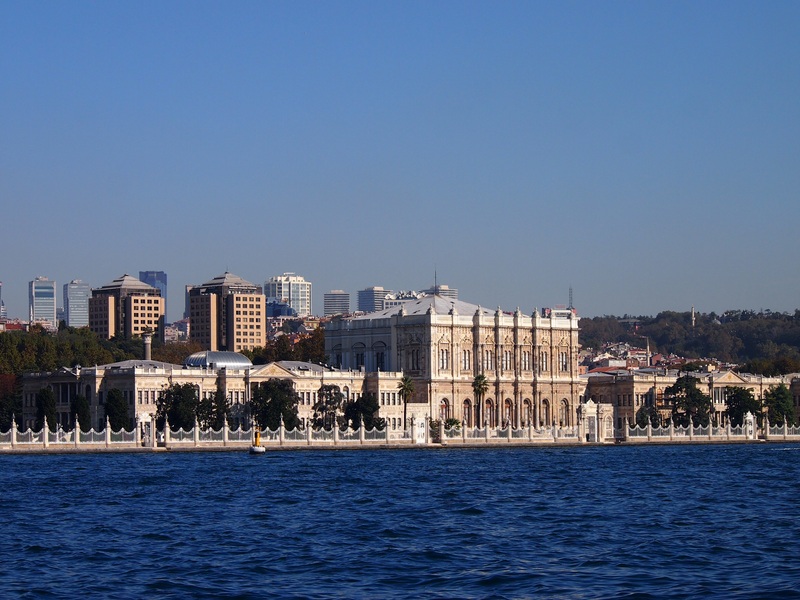 Istanbul is located at the mouth of the Bosphorus Straits, the narrow waterway linking the Sea of Marmara (and beyond that the Mediterranean) with the Black Sea. There are lots of companies offering cruises up the Bosphorus, we opted for the Long Bosphorus cruise offered by Şehir Hatları, the company who run many of the city’s ferry services. We were surprised by how busy it was on a Monday in October. Although we’d arrived over half an hour before the cruise was due to depart we were by no means near the front of the queue and we were a little worried that we might not get an outside seat; although there’s plenty of space inside there isn’t much of a view. In the end we managed to snag a place at the back of the boat on the port side which meant we’d be facing Europe on the way out, just what we’d hoped. 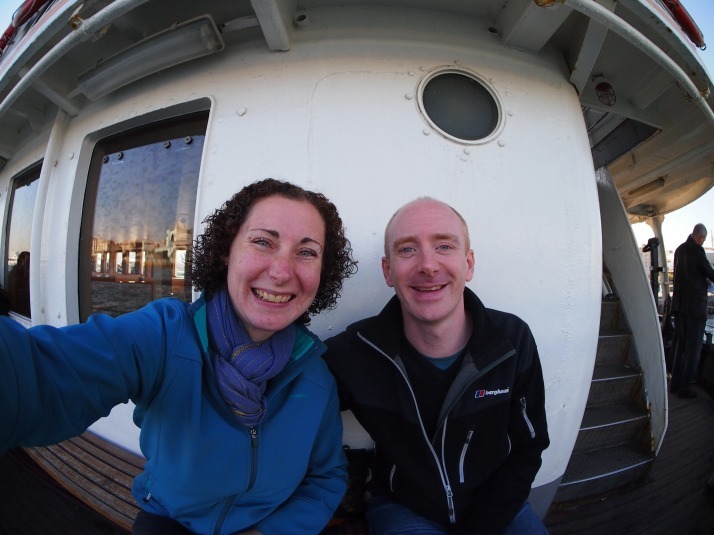 Us on the bench seats along the side of the cruise boat – we’d recommend bringing a cushion to soften the wooden seats! As the ferry sailed away from the city centre we soon passed the impressive Dolmabahçe Sarayı, a waterfront palace completed in the mid 19th century and used by most of the sultans after that date as their principal residence. Shortly afterwards we passed under the first of the two suspension bridges which cross the straits. Built in 1973 the first one is rather straightforwardly called the Bosphorus Bridge. 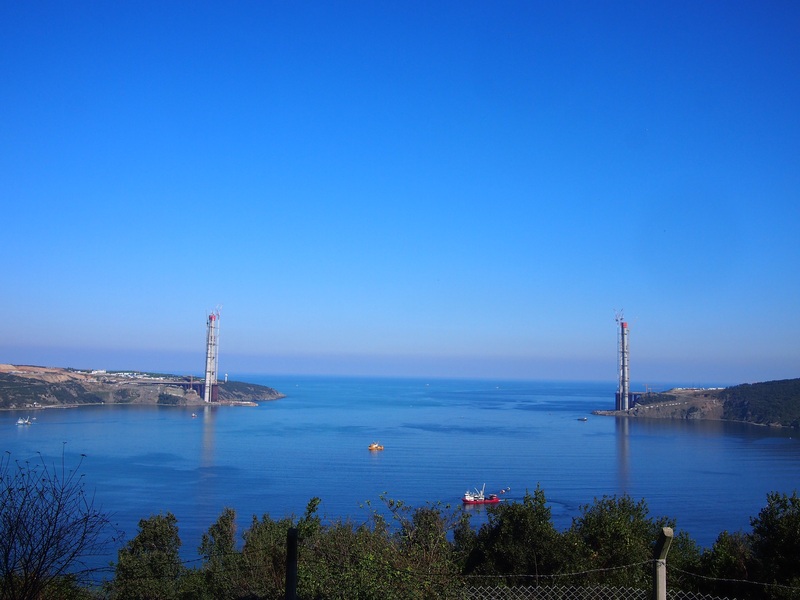 5km further north, the second bridge, Fatih Mehmet Bridge, was opened in 1988 and crosses at the channel’s narrowest point, the same place where Persian king Darius I constructed a bridge of boats in 512BC to attack the Scythians. Today it’s mostly trucks and cars crossing rather than invading armies. 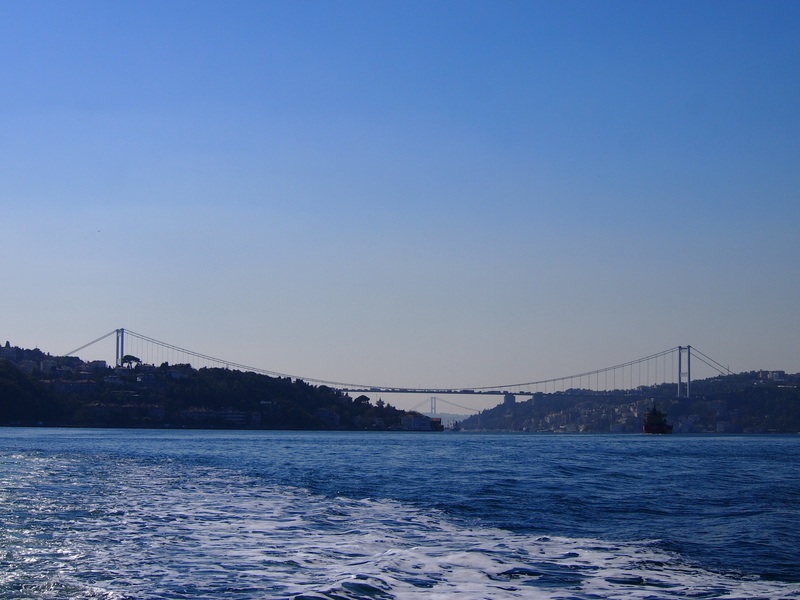 Just before the Fatih Mehmet Bridge is my favourite of the many fortresses which line the Bosphorus’ banks. 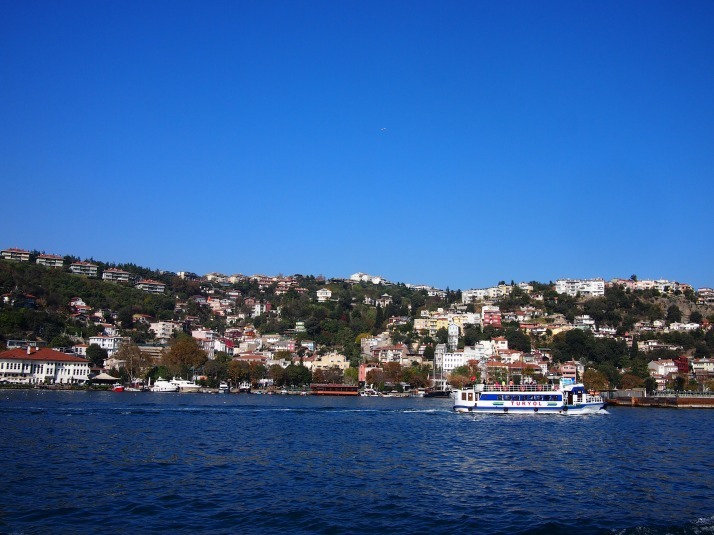 Rumeli Hisarı was built by the Ottoman Sultan Fatih Mehmet in 1452, the year before he conquered Istanbul, with the aim of cutting off communication and possible aid to the city from the Black Sea. 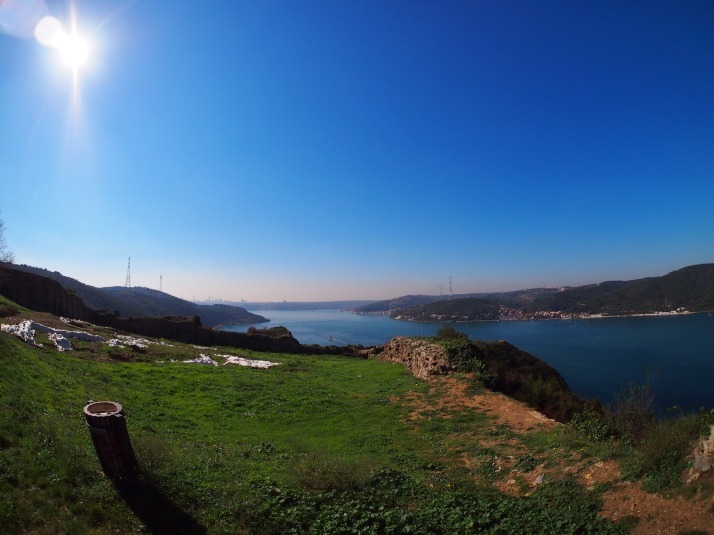 In cooperation with the smaller Anadolu Hisarı on the opposite shore it was successful in its objective. There are another pair of ancient fortresses further along, also standing opposite each other, as well as at least one modern military base. 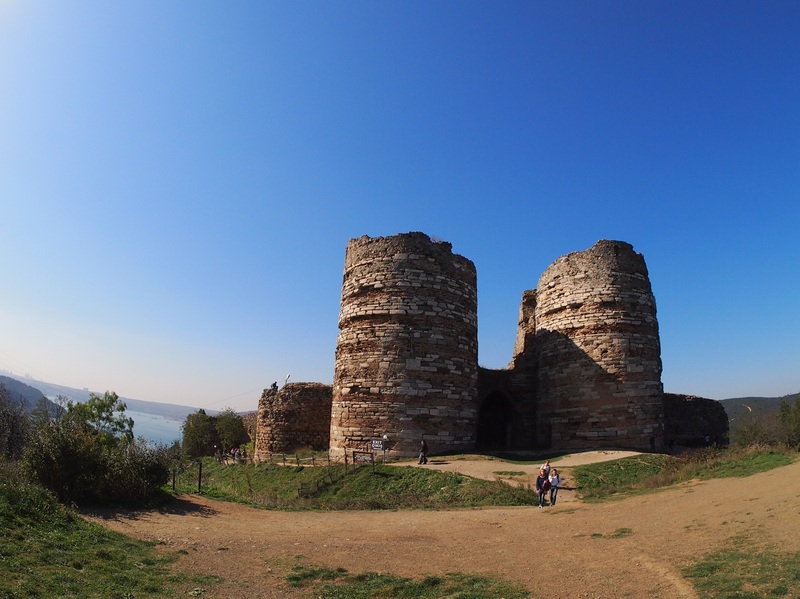 The fortress at Rumeli Hisarı has three towers. The builders of the towers competed with each other to complete them with the utmost speed and at least one was erected in just four months! As the boat moved further from the city centre the villages started to appear more distinctly. The houses were perched on steep hillsides surrounded by forest and each village had a harbour. The straits are 30km long and range from 700m to 3.5km in width which sounds quite reasonable until you realise that they are a busy shipping channel with boats of all sizes, including massive container ships and oil tankers, making their way up and down. 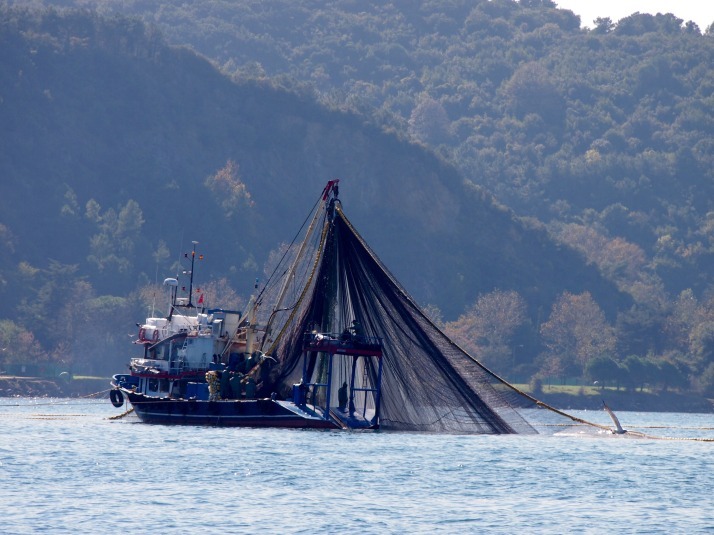 In the upper reaches we also saw a lot of fishing boats with their nets let out in a circle. 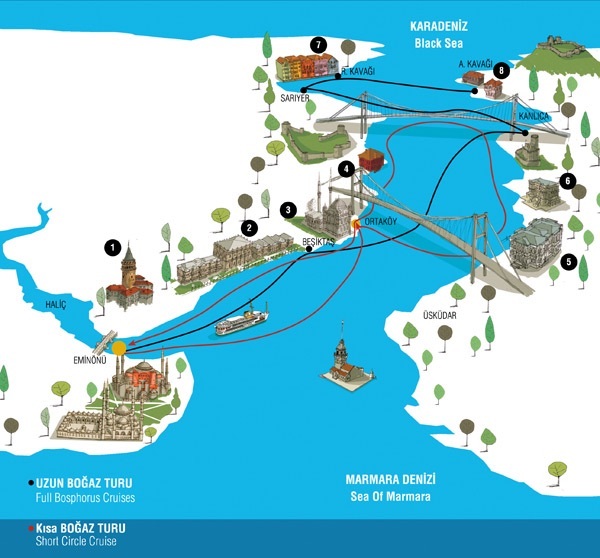 The one-way journey to the final stop at Anadolu Kavagi takes about 90 minutes. The ferry waits here for just under three hours allowing all passengers to disembark. Anadolu Kavagi is a small village bounded on the harbourside by a row of fish restaurants to service the many day trippers and overlooked by Yoros Castle. We ran the gauntlet past the restaurant touts and made the short climb up to the fortress. We visited on a bright and clear day and got good views in both directions. To the north is the opening into the Black Sea which is the site of a third bridge, currently under construction and the subject of some controversy due to environmental concerns including the loss of forests and wildlife corridors, as well as potential impacts from increased population migration to the already rapidly growing city. Looking to the south we could see the hills and inlets that we had just cruised by. After descending from the castle we were ready for some lunch. We chose one of the seafront restaurants and ordered grilled fish and salad while we watched fish swim in the waters beside our table and gulls squawk at each other from their perches. 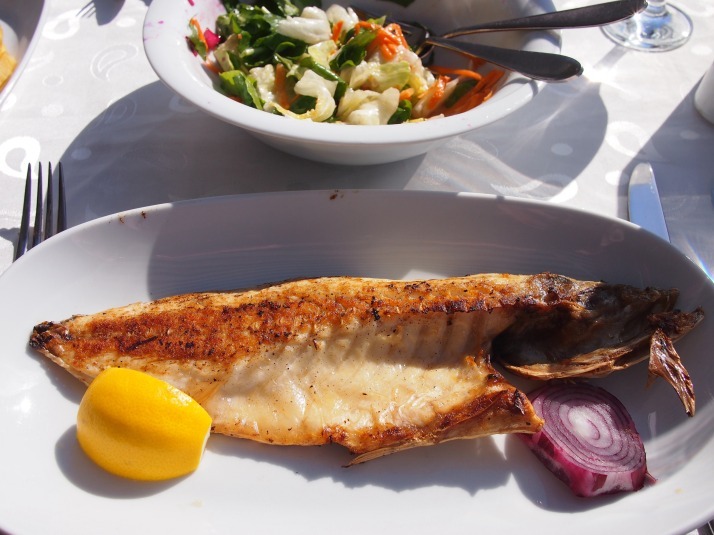 It was delicious and reminded me of another, equally tasty lunch which I had beside the sea on my first visit to Turkey 16 years ago with my good friend and our occasional travelling companion Jo. Boarding the ferry for the return journey, we managed to squeeze ourselves onto the port side bench seats once more, but this time we were facing the Asian shore. We again marvelled at some of the waterfront buildings; it obviously has been, and remains, a desirable place to live. 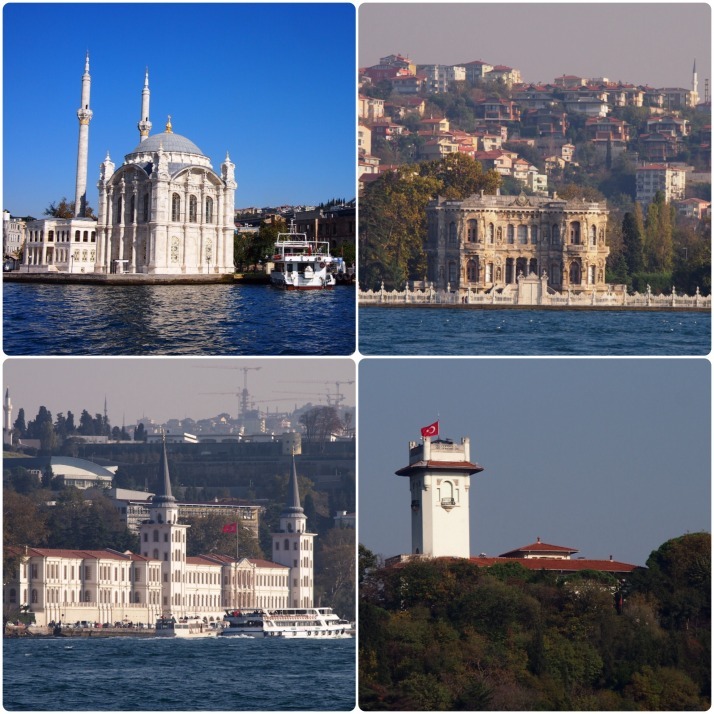 There are beautiful mosques, old palaces and more modern looking mansions and hotels. The cruise was a nice change of pace from the bustling city streets and a very pleasant way to spend the day for a very reasonable price – just ₺25 (about £7) each for the return journey and although the fish lunch was pricey there were cheaper options in town, or we could have packed a picnic to eat at the castle. 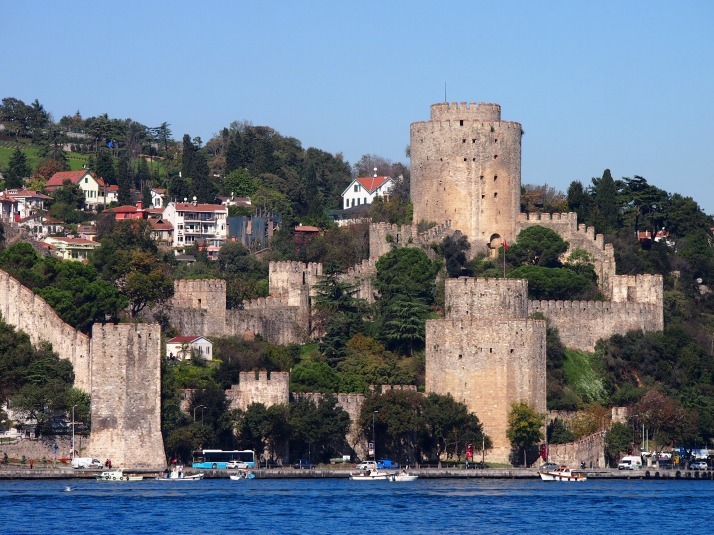 This entry was posted in Experiences, Places and tagged Castle, Cruise, Istanbul, Turkey on November 1, 2014 by Julie. i am thinking of doing a boat cruise on the Bosphorus and saw cruises on http://www.bosphorustour.com but can not decide which cruise i should take, any advice please? thanks..
Hi Nermine, we only took one cruise with the company mentioned in the post so I’m afraid I can’t offer advice on any other operators. Enjoy your trip!